186 pages | 35 B/W Illus. 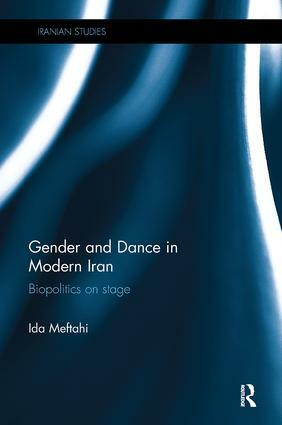 Gender and Dance in Modern Iran: Biopolitics on Stage investigates the ways dancing bodies have been providing evidence for competing representations of modernity, urbanism, and religiosity across the twentieth century. Focusing on the transformation of the staged dancing body, its space of performance, and spectatorial cultural ideology, this book traces the dancing body in multiple milieus of performance, including the Pahlavi era’s national artistic scene and the popular café and cabaret stages, as well as the commercial cinematic screen and the post-revolutionary Islamized theatrical stage. It links the socio-political discourses on performance with the staged public dancer, in order to interrogate the formation of dominant categories of "modern," "high," and "artistic," and the subsequent "othering" of cultural realms that were discursively peripheralized from the "national" stage. Through the study of archival and ethnographic research as well as a diverse literature pertaining to music, theater, cinema, and popular culture, it combines a close reading of primary sources such as official documents, press materials, and program notes with visual analysis of filmic materials and imageries, as well as interviews with practitioners. It offers an original and informed exploration into the ways performing bodies and their public have been associated with binary notions of vice and virtue, morality and immorality, commitment and degeneration, chastity and eroticism, and veiled-ness and nakedness. Engaging with a range of methodological and historiographical methods, including postcolonial, performance, and feminist studies, this book is a valuable resource for students and scholars of Middle East history and Iranian studies, as well as gender studies and dance and performance studies. Ida Meftahi is Visiting Assistant Professor in contemporary Iranian culture and society at the Roshan Institute for Persian Studies, University of Maryland. Her interdisciplinary historical research transcends the studies of gender, dance, theatre, cinema, public entertainment, and performative politics.